Halloweeeeeeeeeeeeeeeeeeeen! EEEEEEEEEE! I love halloween. I love dressing up. I love haunted houses and candy and pumpkins and spooky stories and scary movies. I. Love. October. 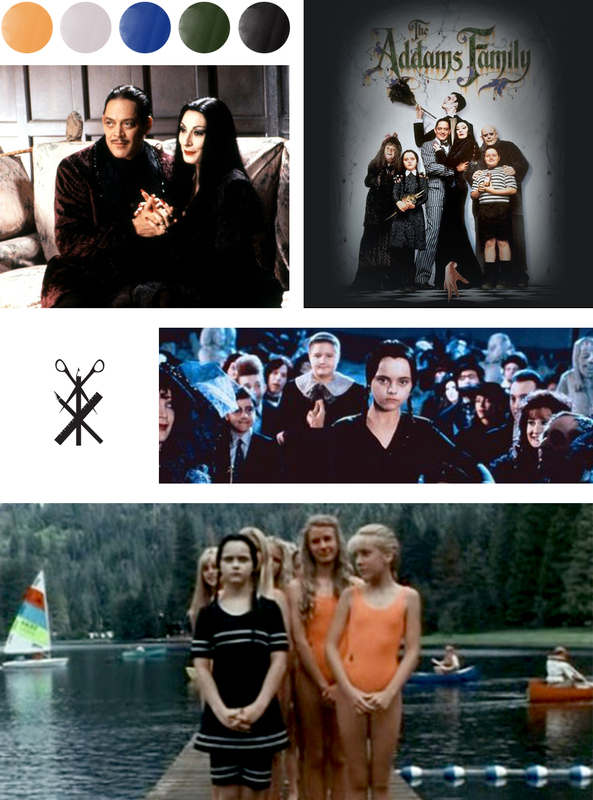 Now that that’s out of the way, here’s an Addams Family color palette. What better way to start the month than a cool look at the colors seen in this classic halloween-ish movie, eh? One of my favorite parts of this movie (and most of the movies I’ll be featuring) is that they don’t take the easy way out with their use of color themes throughout the movie. It’s not simply, “here’s your witch hat and black and orange striped tights, now we have a halloween movie.” The Addams Family developed a color palette based around the way buildings decompose and colors fade with age. All of this set the tone for one of my favorite halloween movies. This is very fun. I would like to put a vote in for more color palette’s based on television shows/movies in the future. My first votes are: The Muppet Babies, Willy Wonka, and Clueless.